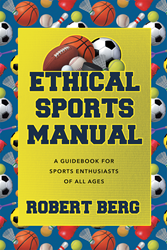 Recent release “Ethical Sports Manual (Emphasis Baseball)” from Page Publishing author Robert A. Berg is an informative work that teaches the fundamentals of competing and bonding a team as one. Robert A. Berg has completed his new book “Ethical Sports Manual (Emphasis Baseball)”: an educational manual that will aid coaches and players in eliminating difficulties that they have faced or that have challenged them as a team. As a ballplayer, Robert Berg made the first team on the All-South Peninsula Athletic League three times in the years of 1964, 1965, and 1967 while attending Menlo Atherton High School. At San Mateo Junior College, his team won two consecutive Golden Gate Conference Titles with identical records of eighteen wins and three loses. Robert’s team held the northern California Championship in 1969. He made second team at first base in the Golden Gate Conference in 1970. Robert was a volunteer baseball head coach for ten seasons. The titles his teams won throughout their seasons were a Little League Title, three Babe Ruth Divisional Titles, and a Senior Babe Ruth Title. Not only a player and fan of baseball, Robert volunteered as a basketball head coach for seven seasons. His team won three Peninsula Parochial School League Titles. Published by New York City-based Page Publishing, Robert A. Berg’s educational sports manual helps teams focus on the basic fundamentals. This book helps the reader bond their team together for a successful season. In sports, ethics are morals that can aid the coach and players to operate smoothly and as one unit. In the "Ethical Sports Manual (Emphasis Baseball)", the topics are thoroughly understandable and will help teams bond together when put into practice. Organization, safety precautions, basic fundamentals, drills, and chemistry play a major part in a team’s success in practice and in each game. Readers who wish to experience this instructive work can purchase“Ethical Sports Manual” at bookstores everywhere, or online at the Apple iTunes store, Amazon, Google Play or Barnes and Noble.